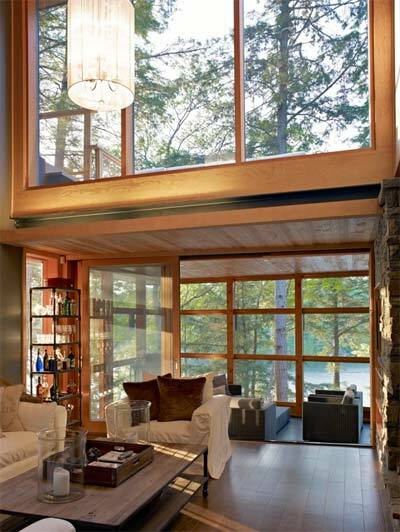 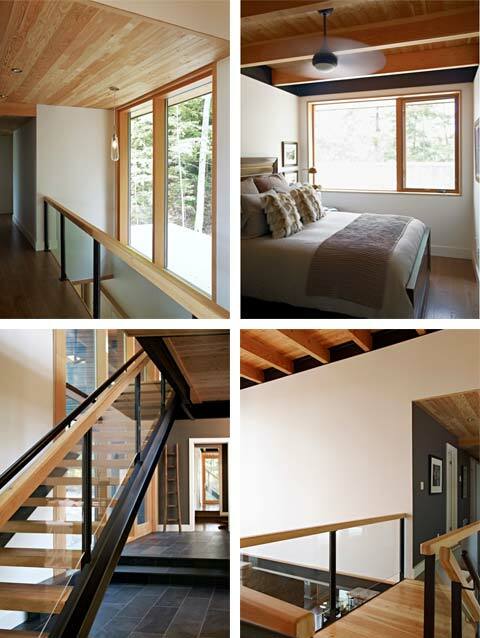 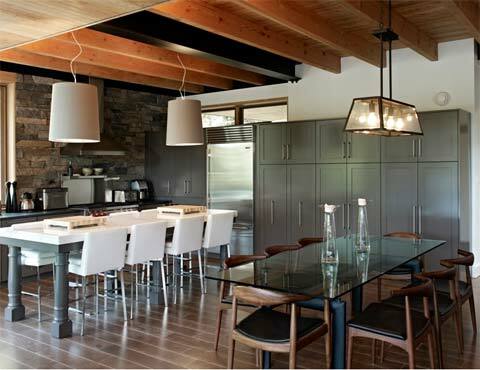 This modern cottage is perched on a rock ledge overlooking Lake Joseph in Seguin Township, Ontario. 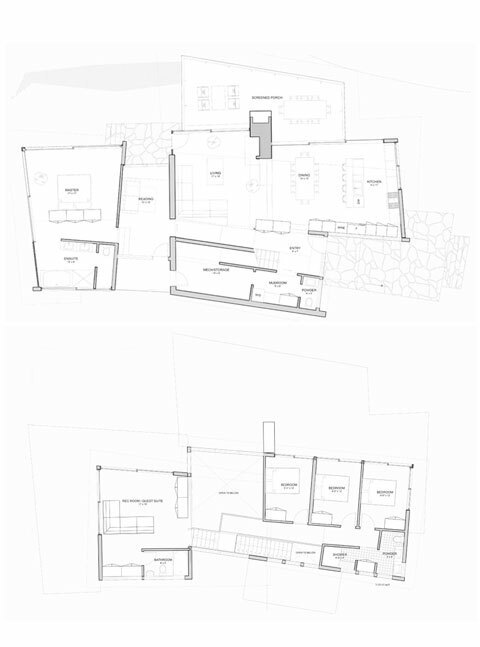 It’s a family home with a total space of 3,600 sq. 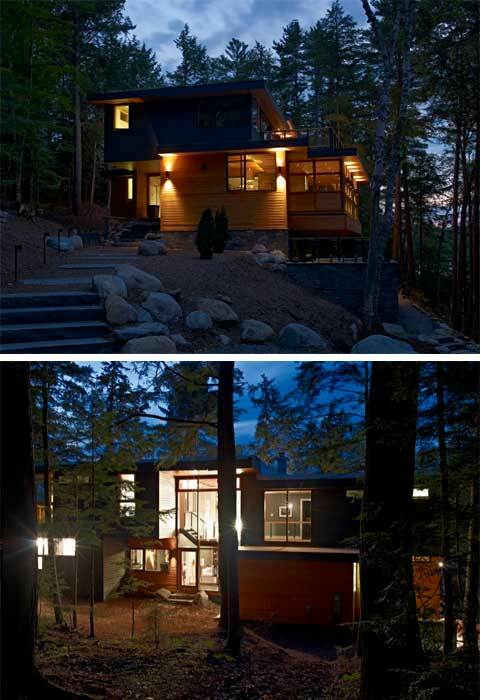 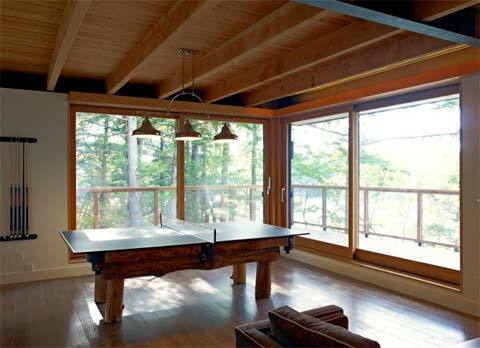 ft., featuring large glazed openings and an extensive screened porch that cantilevers out beyond the sloping terrain. 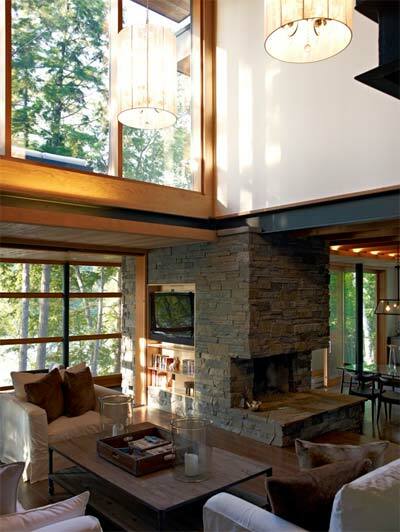 Tastefully designed, this lake house is all about comfort and luxury. 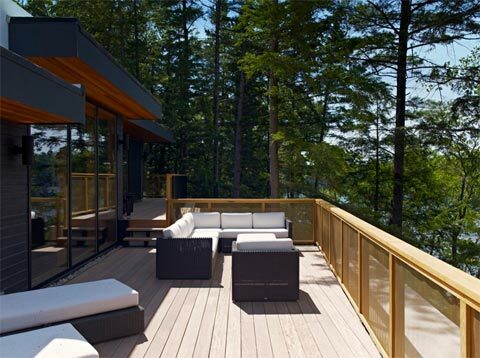 This large getaway home features a smart envelope design where the main living spaces enjoy lake views, while services and washrooms are positioned near the the road side of the house. 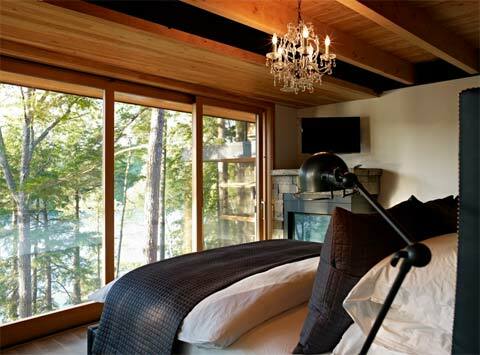 A cozy reading room leads to a secluded master suite, that enjoys privacy as well as uninterrupted lake views via a large glass wall. 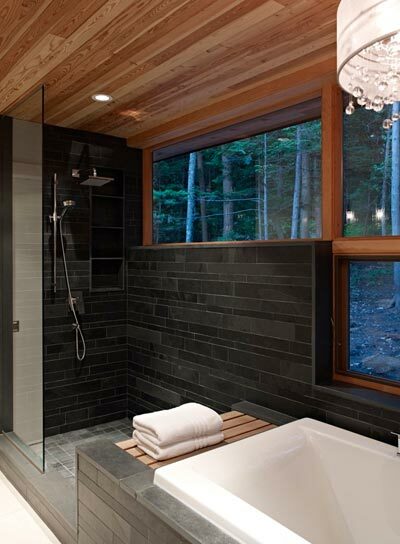 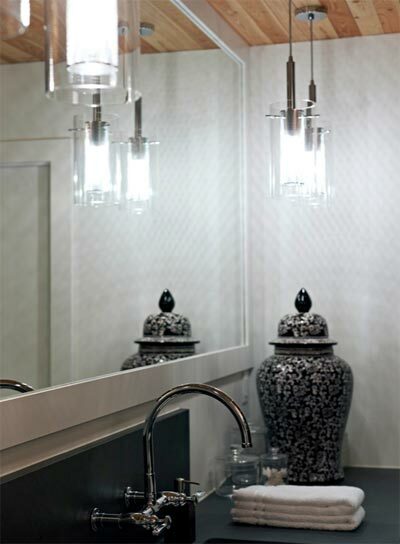 I love the bathroom design, with its dark tiles, contemporary lighting fixtures and large windows; see how every detail has been executed beautifully, how a single spotlight lights the shower space while a crystal chandelier provides the perfect ambiance for a bubble bath. 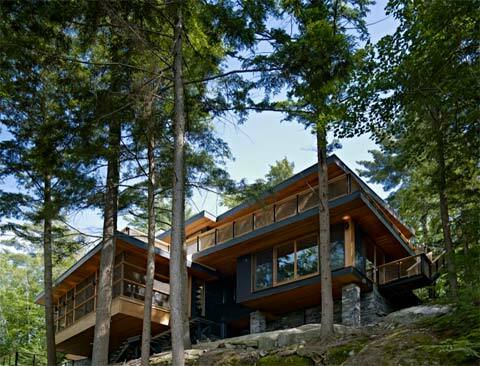 This house is pretty big, however it does include various sustainability features like passive solar heating, natural ventilation and passive cooling, advanced geothermal systems, low energy lighting and appliances, and more.